Beyond the extraordinary. James Bond would be at home in this setting. 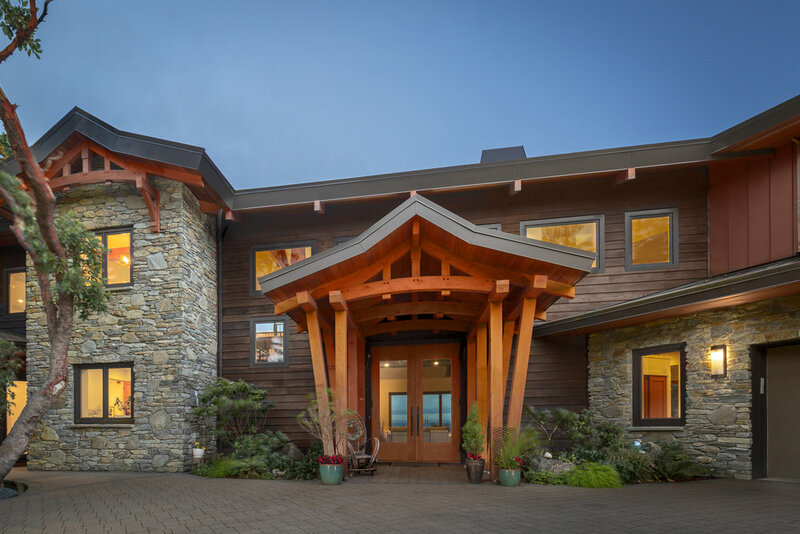 A smart home completed in 2017 - created and executed by a master engineer, envisioned by an artist - an inspirational masterpiece. 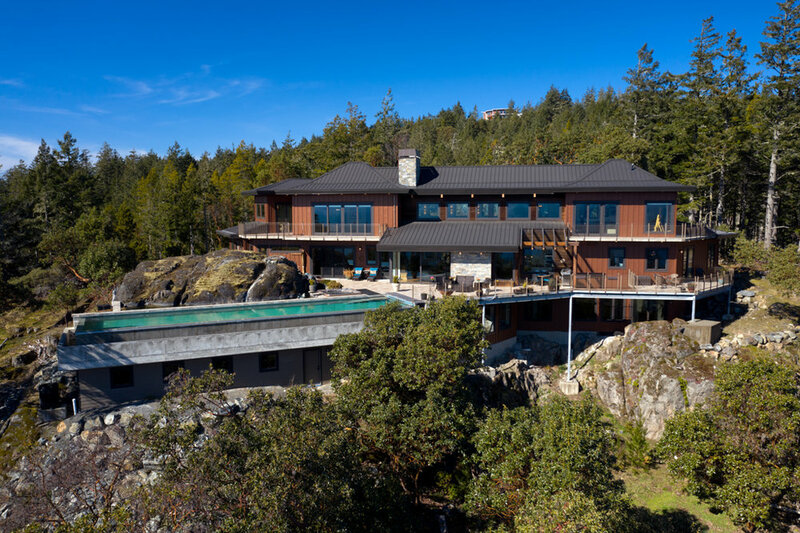 Imbedded in the rocky hillside this concrete and steel collaboration is a spectacular testament to the dramatic backdrop of the Olympic Mountains and Straits of Juan de Fuca. 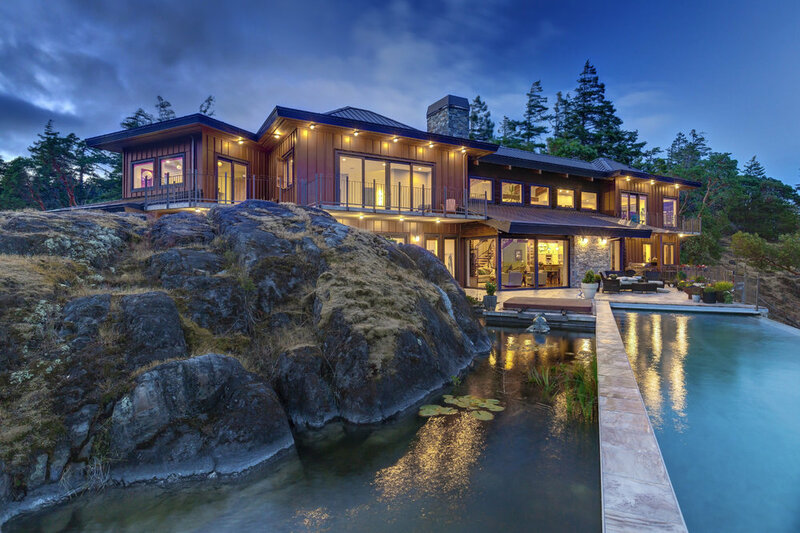 Walls of glass retract to enable the natural flow from indoors to out where an infinity pool effortlessly appears to flow over the hillside and a massive koi pond forms a moat round the natural rock landscape. Mesmerizing views demand attention while every surface of this home is a thoughtful custom detail using the finest materials. The inclusion of a 37' "totem" tree soars 3 stories encircled by a custom steel stairwell. The residence includes a two bedroom self-contained suite on the main level and more than 4,000 sq ft of garage to house the finest car collection. A southerly exposure affords all day sunshine sheltered from the prevailing winds. A remarkable feat in exceptional construction. Becher Bay is located on the border of Metchosin in the unincorporated community of East Sooke, British Columbia, Canada where there are over 500 houses. East Sooke borders on East Sooke Regional Park, an area of 14.339 square kilometres (3,543.3 acres), with views south to Olympic National Park in the United States. East Sooke does not have a town council. Instead it is governed by a Regional Director who is also responsible for other unincorporated areas in the Capital Regional District (the regional district Victoria, British Columbia). The B.C. Speculation Tax for unoccupied second homes does not apply to this area. East Sooke's general character is rural, although it is a bedroom community of Victoria. Its close proximity to Victoria and character as a bedroom community with large tracts of undeveloped land have made it an attractive location for recreation and retirement developments. The micro climate at Becher Bay is conducive to Arbutus and Garry Oak trees. There are 2 marinas at Becher Bay and it is a popular launchpad to some of the West Coasts best fishing grounds.